I rarely prepare deep fried items at home. Dishes like Poori, Bajji, Bonda are always tempting. But as far as possible, we want to avoid eating food thats too oily. But I can't avoid making Chaklis when there's huge demand from my daughter! Months back, I had eaten Chakli at one of my Aunt's home. They were so tasty and I was surprised to hear that she had used Curd for making those Chaklis! Then one fine day, again on daughter's demand, I tried Chaklis using my own selection of ingredients along with curd. They turned out so crunchy and yum! This recipe looks very handy and easy for me now. 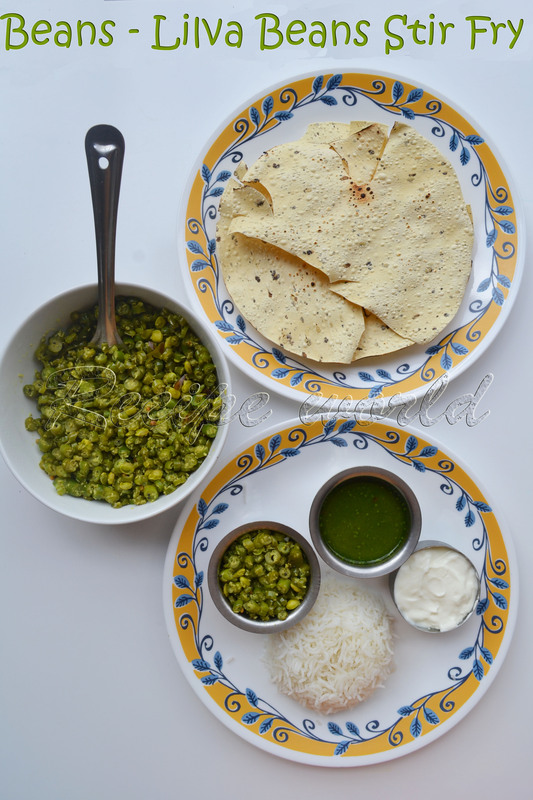 Here is my easy peasy Chakli recipe for you all.. Combine roasted bengal gram dal, carom seeds, till seeds and cumin seeds and make a fine powder. Mix it with rice flour, salt, sugar and red chilli powder in a large bowl. Add heated butter to the flour mixture and mix it well with your hands. To this, add 1/2 cup of curd and mix well. Add water little by little and make a soft, non sticky dough like chapathi dough. Fill the prepared dough in Chakli Press (Chakli Maker). Press the dough and make them into spiral shapes. Heat the oil in a wide pan and deep fry these spirals till they turn crispy. 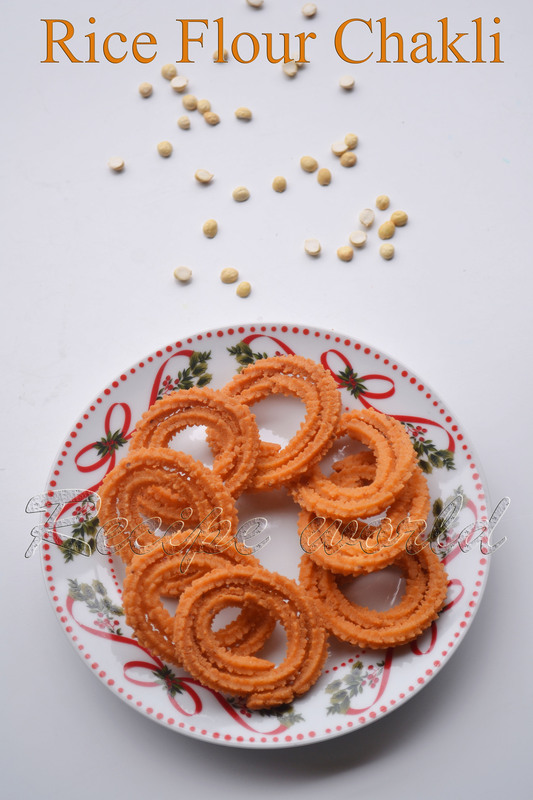 Enjoy crispy, delicious Chaklis anytime! When it comes to the habit of healthy eating, eating more vegetables is always recommended. Being born and brought up in South India, we prefer Rice for our lunch and dinner most of the time. So, I try to include salads, veg stir fries, lentil based curries and yogurt in our daily food to make sure we won't miss the required nutrients. I try to mix and match the vegetables for my curries and stir fries just to make it attractive for my daughter to eat! 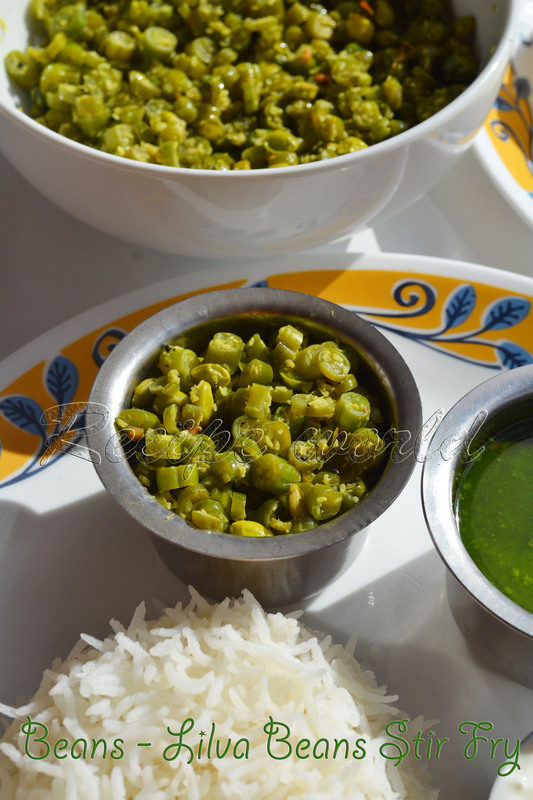 Beans is one of those vegetables which goes well with most other vegetables to make delicious dishes. I am sharing with you all a healthy and delicious stir fry using Beans and Lilva Beans. For this recipe, you can use either fresh or frozen Lilva Beans. I have used the frozen ones here..
Wash the beans thoroughly in water, remove the stem and fibre, if any. Chop the beans into as thin roundels as possible. Heat oil in a heavy pan. Add red chilli piece, urid dal, asafoetida and mustard seeds. When mustard seeds start crackling, add turmeric powder, slit green chilli and curry leaves. Saute for a minute. Add the chopped beans to the seasoning and mix it well. Close the lid tightly and cook it for 5 - 6 minutes. Sauté it once in between to ensure even cooking. Mix in the Lilva Beans along with the half cooked beans and cook for 5 more minutes. Add grated coconut, salt and amchur powder for taste. Mix everything well and cook for 5 minutes or till done. Serve this delicious stir fry as a side dish with rice. Don't add any water while cooking. Water content in the beans will be sufficient for cooking them. Eggplant is used in preparing wide variety of Indian dishes. We too love this vegetable in our cooking. Varieties of side dishes and stir fries can be made using this vegetable. 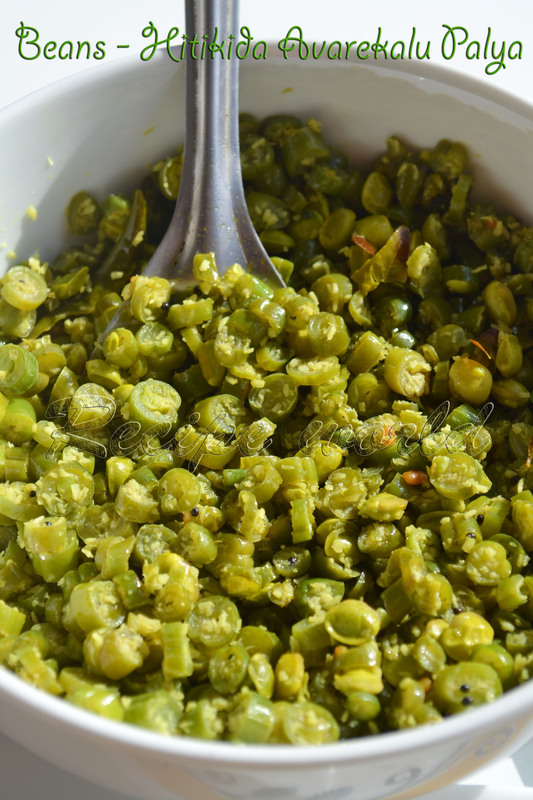 Today, I am sharing a unique Stir fry (Palya) recipe from my native place. As per my observation, most of the eggplant recipes tastes good only when onion or garlic is added. But this Stir fry tastes delicious without adding garlic and onion. Try this simple yet delicious Stir Fry and let me know your feedback! 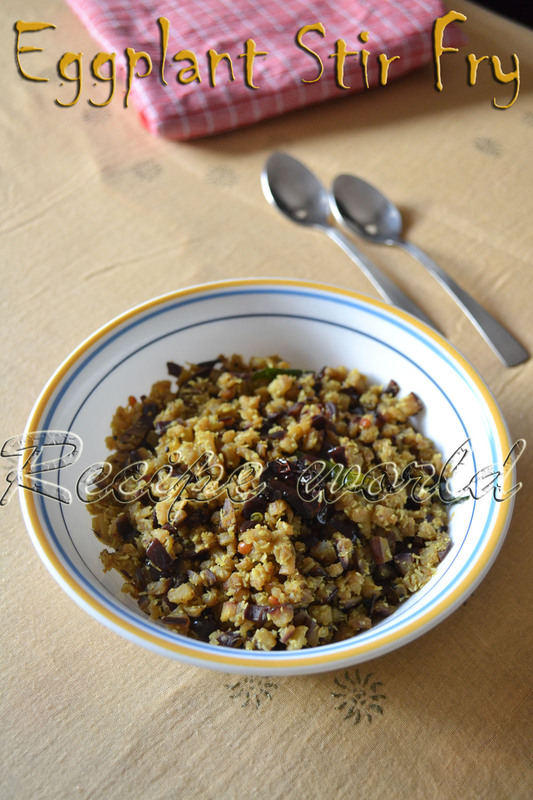 Take the finely chopped eggplant in a bowl. Add 1 1/2 tsp salt, 1 tsp amchur powder. Mix it well and leave it for 15 minutes. Squeeze off the water content from the eggplant mixture and discard the water. Heat oil in a heavy bottom pan. Add red chilli, urid dal, mustard seeds, hing and turmeric. Once the mustard seeds start crackling, add slit green chillies and curry leaves. Saute the mixture for a minute. Add the squeezed eggplant chunks to the seasoning and mix it once. Check the taste and add salt and amchur powder accordingly. Cook this mixture on low flame without closing the lid for 8 - 10 minutes or till done. When its cooked half-way, add the grated coconut. Stir the mixture frequently to ensure even cooking. Turn off the flame when the eggplant chunks become soft and cooked nicely. Serve this delicious stir fry as a side dish along with rice. If cooked nicely, this stir fry stays good for 2 - 3 days at room temperature. If you would like to add onion, add chopped onion while adding the grated coconut. This stir fry tastes better when eggplant is chopped very finely. My school going daughter has recently developed a great craving for snacks. Everyday after coming from the school, she asks for some snacks thats crunchy. I rarely entertain store bought snacks at home and also, she loves homemade food. So, I always keep a stock of 2-3 varieties of homemade snacks for her. One among those is Spiced Phool Makhana. These crunchy balls are very addictive and they are a good source of protein and Vitamin B too! 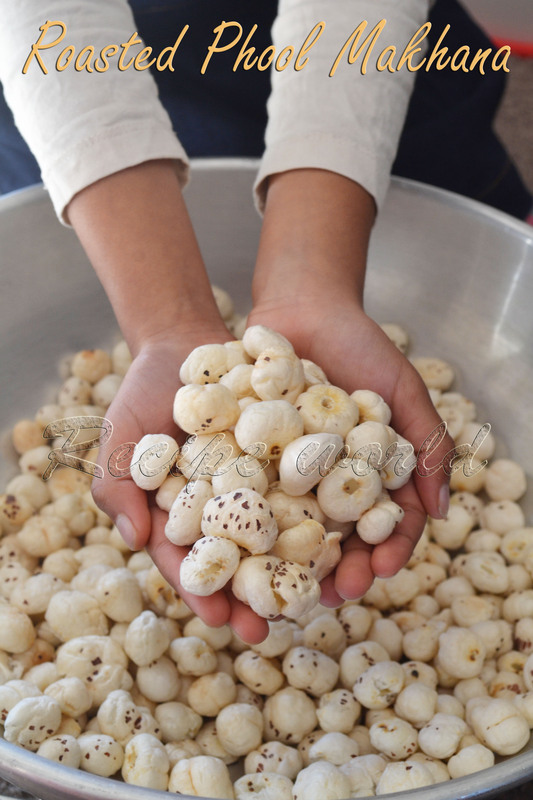 Puffed Phool Makhana is available in most of the Indian grocery stores here. With this, one can easily prepare this delicious snack anytime. 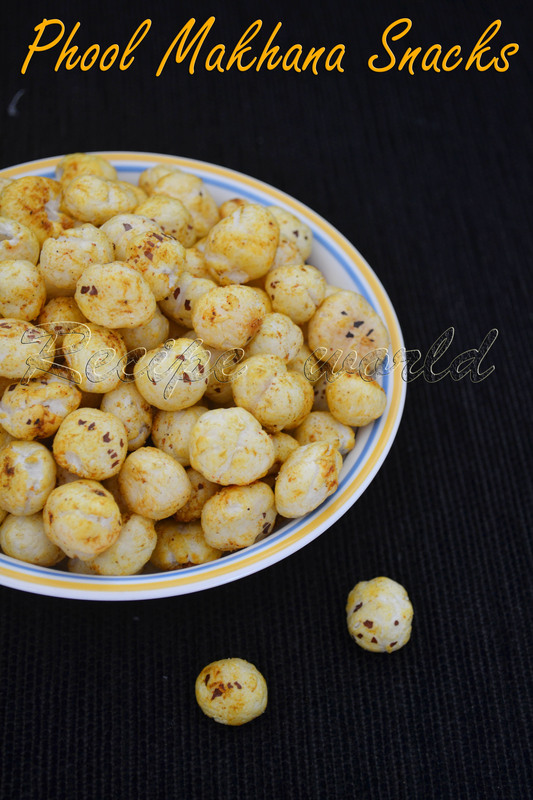 So, here is the recipe of Spiced Phool Makhana or Lotus Seed Snacks..
Take a wide bottom pan, add Lotus seeds and toast them on low or medium flame for 8 - 10 minutes or till they turn crispy. Heat oil in the same pan; Add turmeric powder, chilli powder and turn off the flame. Take care not to burn the spice powders. To this, add salt, sugar powder and chat masala powder. Mix it well. 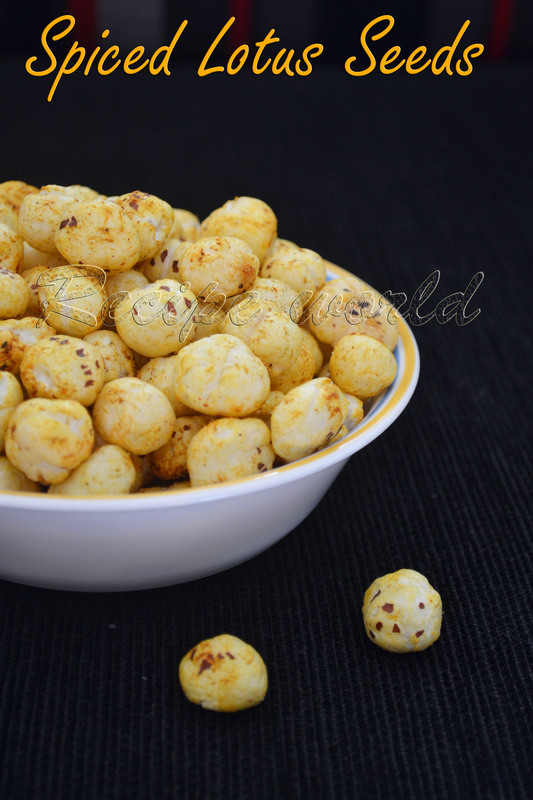 Add the roasted Lotus seeds / Phool makhana to the seasoning and toss it nicely to ensure even coating of spices. Serve this delicious snack along with a cuppa Tea! Chat masala can be replaced with amchur powder. Use your hands for easy and even mixing. Rainy season has started in various parts of India now. In my native, its the time to enjoy different seasonal fruits like mangoes, jackfruit, pineapple and so on. They are good to eat just like that. Also, varieties of sweets, jams and side dishes can be prepared using them. I have shared some of those recipes already. Please click on the recipe names below to check them. Coming back to today's recipe, we all know that pineapple can be used to prepare Jam, Pastry, Kesari (Shira), etc. sweet dishes. 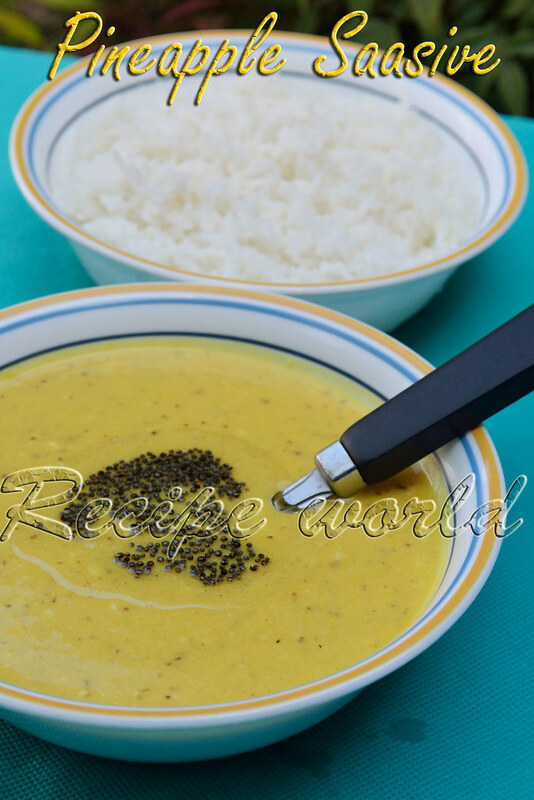 I am sharing with you all the recipe of a delicious yogurt based gravy using pineapple. Its one of the authentic Havyaka recipe and we call it as Pineapple Saasive. 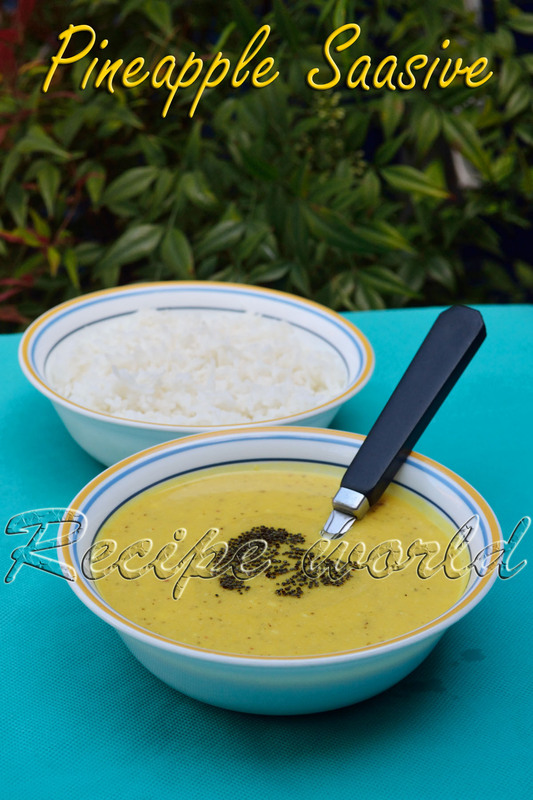 Try this sweet gravy with hot rice and let me know how you liked it! Combine pineapple chunks along with salt, jaggery / sugar and water in a vessel and bring to boil. Turn off the flame after it is boiled for 5 minutes and allow to cool. Separate the liquid from the cooked pineapple chunks and keep aside. Grind the cooled pineapple chunks along with grated coconut, till seeds, mustard seeds, chilli piece and turmeric powder into fine paste. Use the liquid you saved before, while grinding. Add half a cup of curd to the ground mixture. Check the taste and add salt or jaggery if needed. If the mixture is too thick, you can add a little water. But don't make it too watery. Heat oil in a small wok. Add mustard seeds and when it crackles, add this seasoning to the Saasive. Serve this Saasive as a side dish with rice. Many people dislike okra because of its slime. But you won't feel it when its cooked with proper care. 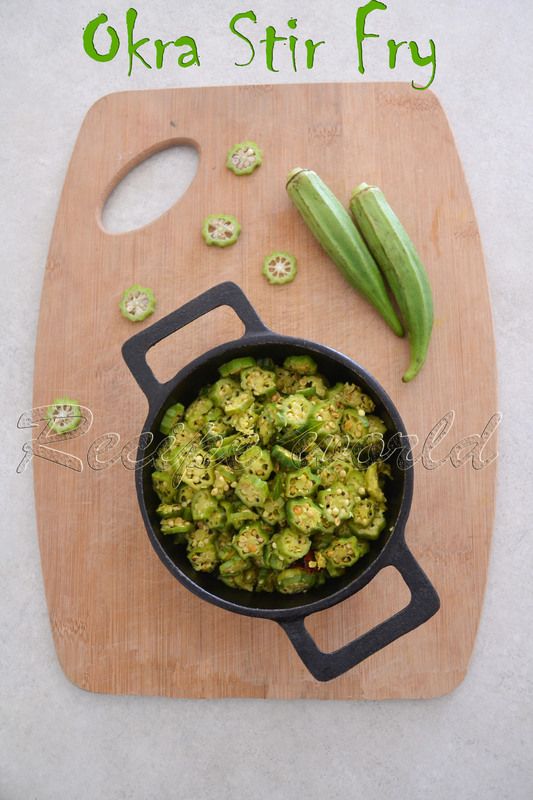 Okra is a good source of fibre which is needed for our body. 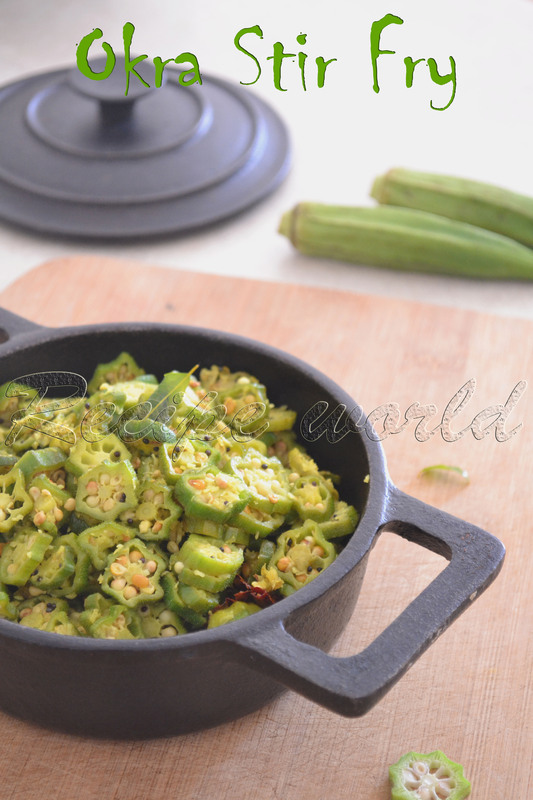 Try this Okra Stir Fry and I hope you like it! Wash the Okra in water and drain the water using a cotton cloth or paper towel. Slice them into very thin rounds. Heat oil in a heavy bottom pan. Add dry red chilli, urid dal followed by mustard seeds. When the mustard seeds splutter, add pinch of hing, turmeric powder, slit green chilli and curry leaves. Saute them for a minute. Add the Okra slices to the seasoning and mix it once. Add salt and Amchur powder for taste. Cook the mixture without putting the lid and give it a stir regularly to avoid burning. It won't take much time to cook since we have sliced the Okra very thinly. Once the mixture is almost cooked, add the fresh grated coconut and cook it till done. 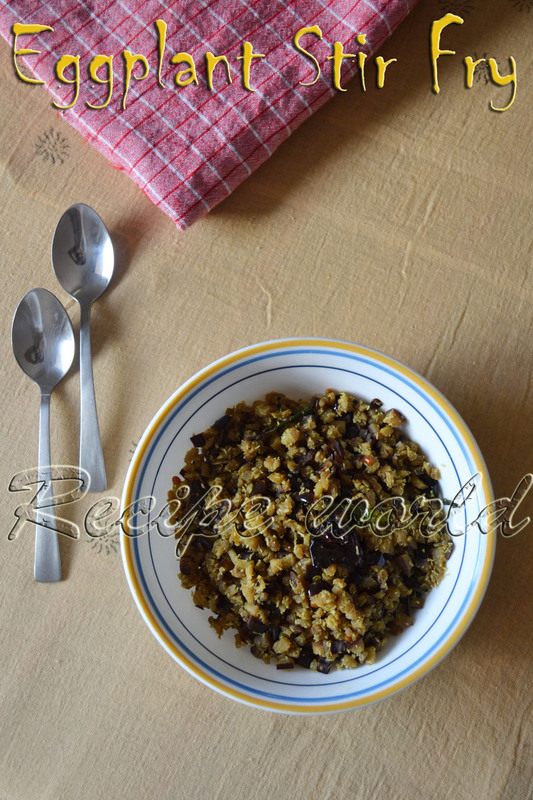 Serve this delicious Stir Fry / Palya along with rice or chapathi. This Stir Fry tastes really good when Okra is slices into very thin roundels. Do not over mix the stir fry while cooking, otherwise it becomes mushy. Adding onion will give a different taste for this recipe. Chopped onion can be added along with grated coconut. Most of you are familiar with the famous Indian sweets Kaju Katli and Badam (Almond) Katli. These sweets taste heavenly and were mostly store bought when I was a kid. These days, many of us are able to prepare these famous sweets at the convenience of our homes. OPOS (One Pot One Shot) is an innovative or rather I can say, more simplified way of cooking which is becoming famous these days. I was introduced to OPOS cooking few months back by one of my friends. Many thanks to Rama Krishnan Sir for making cooking so simple through OPOS. Basically, OPOS cooking needs a 2 litre pressure cooker which I didn't have. But I was eager to try OPOS cooking and hence, started experimenting my dishes using my 3 litre pressure cooker. Luckily, my experiments went well and I'm preparing most of my side dishes in OPOS way now a days. 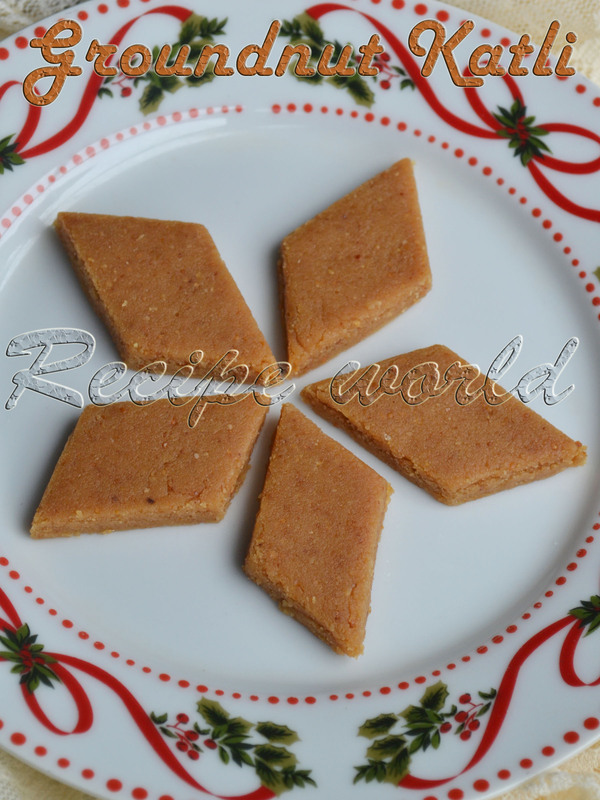 After seeing the OPOS Kaju Katli recipe, I thought to prepare Katli using groundnuts. My Mom makes Groundnut Burfi, which takes a lot of time stirring the mixture on the stovetop. 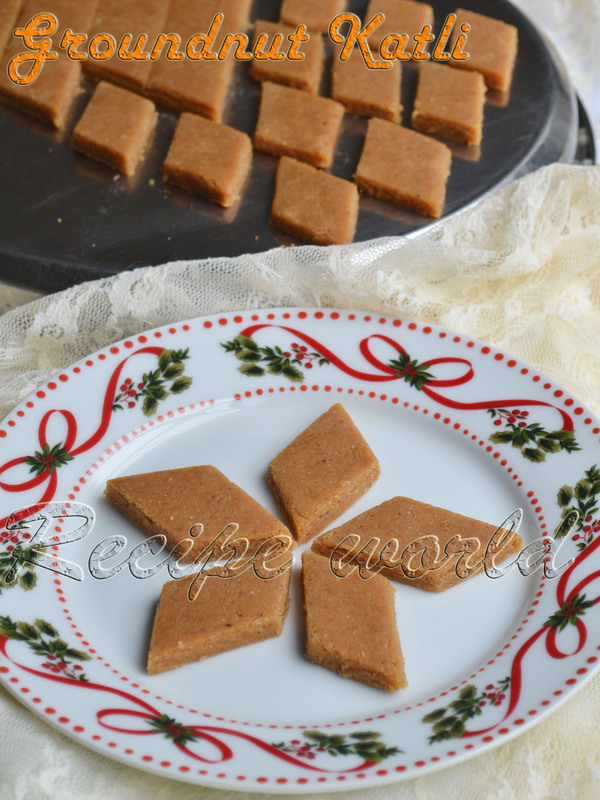 I just modified my Mom's Groundnut Burfi recipe to suit the OPOS way. Groundnut Katli turned out very well and tasted amazing! 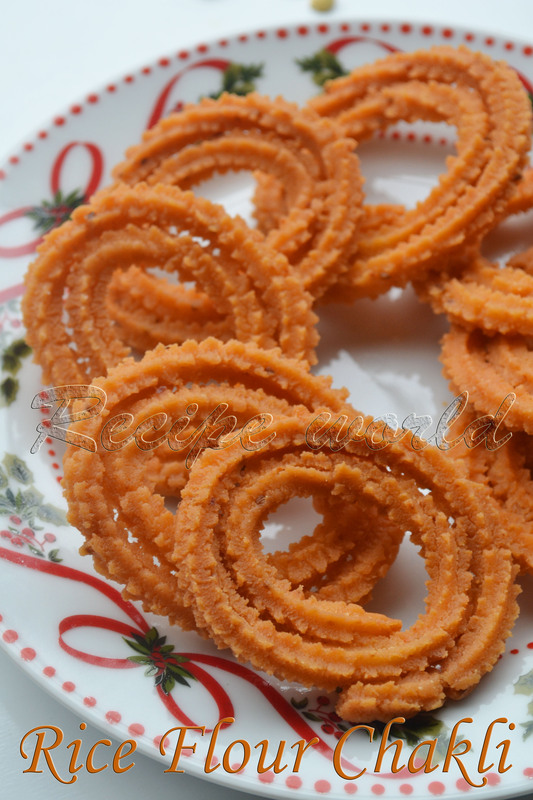 My daughter loved them a lot and I ended up preparing one more batch of Groundnut Katli the very next day. Believe me, they are really addictive! Combine milk and sugar in the pressure cooker and give it a stir. If the sugar crystals are bigger, stir the mixture nicely till sugar dissolves. Close the lid and cook on high till 6 whistles. Make sure to wipe off the sugar water which comes out with every whistle; else, it won't whistle properly. Turn off the flame and release all the pressure using a spoon. Take the lid out and fold in the groundnut powder. Mix it quickly without lumps and close the lid again. Allow it to set for 20 minutes. Open the cooker lid after 20 minutes and by that time, the mixture will become like a thick dough. Grease your palms with ghee and mix the dough once. Transfer the dough onto a greased plate and pat it thinly. Cut them into desired shapes and enjoy the delicious Groundnut Katli! Since the cooking needs to be done on high flame, you have to use either induction or gas stove. While preparing groundnut powder, don't run the mixie / blender continuously; instead, try to whip and powder.